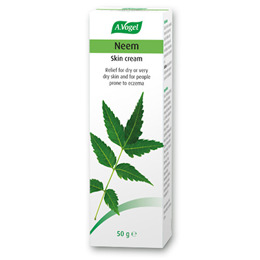 A.Vogel’s Neem cream, containing the ethanolic extract of neem leaves, is a very popular herbal cream. Neem cream is made from the tincture of Neem leaf. It helps ensure that all the beneficial properties of Neem leaf are extracted and used. Below are reviews of A Vogel Soothing Neem Cream - 50g Tube by bodykind customers. If you have tried this product we'd love to hear what you think so please leave a review. Doctors gave me steroid cream to clear my skin condition, did not work, but Neem Cream cleared it and has kept it at bay for years now!! A fabulous cream for dry skin soothes and helps clear dry skin and eczema. very soft and gentle cream with a light herbal fragrance. 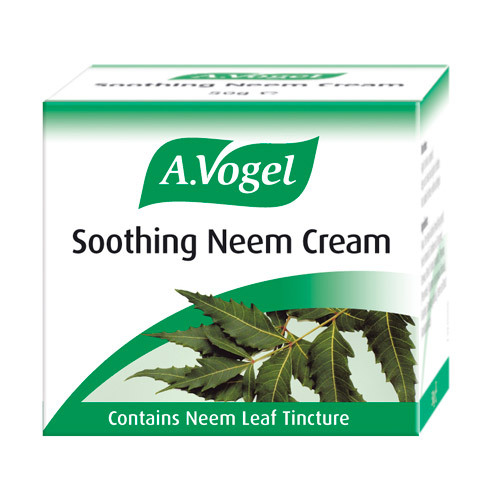 A Vogel Neem cream, containing the ethanolic extract of neem leaves, is a very popular herbal cream. Neem cream is made from the tincture of Neem leaf. It helps ensure that all the beneficial properties of Neem leaf are extracted and used.